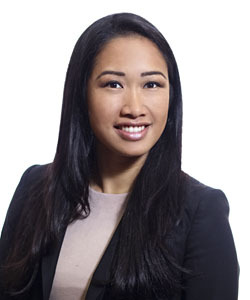 We are pleased to welcome Lisa Tan to Dale & Lessmann LLP as an Associate in our Corporate Commercial group. Lisa’s practice focuses on corporate and employment law. Prior to joining Dale & Lessmann LLP, Lisa practiced at civil litigation boutique firms and articled a leading international law firm. Lisa was called to the Bar in 2015. She received her Juris Doctor degree from University of Toronto (2014), her Bachelor of Commerce with Distinction in Finance from the University of Calgary (2009) and her Bachelor of Arts with Distinction in Political Science from the University of Calgary (2009). Prior to law school, Lisa was an executive compensation consultant at a national firm, as well as a university sessional instructor in China. She has travelled extensively around the world, and has worked or studied on almost every continent.